We honor our country’s fallen heroes by examining the Constitution and how this nation was founded. John’s boralogue explores our once-guaranteed freedom of religion and the erosion of that freedom, especially in the military. It’s once more “don’t ask, don’t tell” in the armed forces, only this time it involves religion. Christians are frequently called “haters,” but it’s Christians who serve to feed the hungry, heal the sick, provide shelter for the homeless and they are often the first on the ground during disasters. Technology has certainly emerged as essential in our lives, with cell phones and computers helping us. As information has expanded, private companies and governments have initiated data collection programs to “better serve” you, the user. But how can those databases be used against us, and is it a violation of both privacy and the Constitution? Bruce Schneier (www.schneier.com), Chief Technology Officer of Resilient Systems, says we’re making it up as we go along; it’s a complex question. 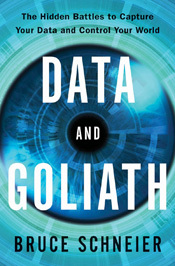 Who has oversight of the process, and do the benefits outweigh privacy concerns? Moreover what is the future of rights under this new system? How did we get here? We have been examining the questions surrounding worldview issues shaping our country the past century. This week we’ll look at the Catholic Church’s internal struggle with Marxist ideas masquerading as Christian ones. Cliff Kincaid (www.aim.org), Director of the Center for Investigative Journalism at Accuracy in Media, discusses the gradual infiltration into the Church of Gramscian Marxism and how that has manifested in today’s liberation theology. Following this thread, Marxist infiltration of the Church was predicted nearly 20 years ago by the author and biblical scholar, Dr. Malachi Martin, a former Jesuit priest. John finishes this week’s program by reviewing interviews with Dr. Martin from both Art Bell’s show and Steel on Steel in the 1990s. It is sobering to realize how accurate his insights into the future are borne out by events today. The Malachi Martin Interview Series. John recorded seven key discussions with Dr. Malachi Martin in the 1990s. These informal interviews were aired on the broadcast, but are now assembled into a single set in audio CD and MP3 format. Dr. Malachi Martin was a former Jesuit priest, Vatican historian and close associate of Pope John XXIII. He has authored many books about his Vatican findings including The Keys of This Blood and Windswept House. Get this resource and others in our Media Store! 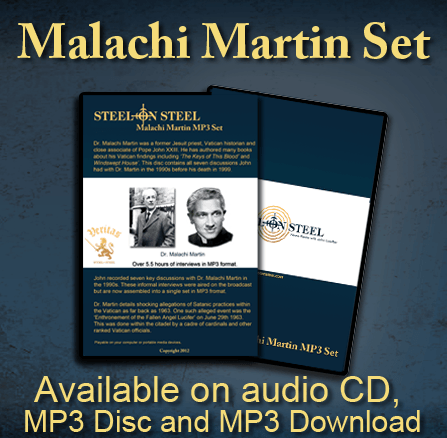 Listen to the complete Malachi Martin series, watch full-length videos and much more at no extra charge with your Premium Membership in the Veritas Lounge! If you haven’t upgraded to a Premium Membership yet, why not upgrade today? As always, join us online for our weekly Section 6 intelligence briefing, featuring analysis by John on important stories highlighting emerging geopolitical trends around the world. This week, John takes a look at China’s military aggression and other stories making headlines.